I want to share one of Dana Point’s best-kept secrets and invite everyone to join me in attendance as the Dana Point Symphony kicks off its eighth season with its annual Holiday Concert this Friday, Dec. 14 at 7:30 p.m. at St. Edward the Confessor Catholic Church. Music and Artistic Director Dean Anderson—fresh off his gig earlier this month working with American Idol alumnus David Archuleta and the San Bernardino Symphony—will conduct holiday favorites featuring the Laguna Niguel Presbyterian Church Choir. Anderson, known for his charismatic performances, has been with the Symphony since its inception. The Dana Point Symphony, which debuted in 2012, grew out of its president and co-founder Scott Schoeffel’s vision of integrating and elevating music, art and culture in Dana Point when he was mayor in 2011. Former Dana Point Arts and Culture Commissioner Berenika Palys (formerly Schmitz), a world-class concert pianist and currently Executive Director of Casa Romantica, served as executive director and art director for the Symphony’s first five years, making invaluable contributions to the organization’s initial launch and enduring success. Julie Simer now holds the executive director post and is assisted by a veteran corps of volunteers, many of whom have been serving the symphony since its founding. 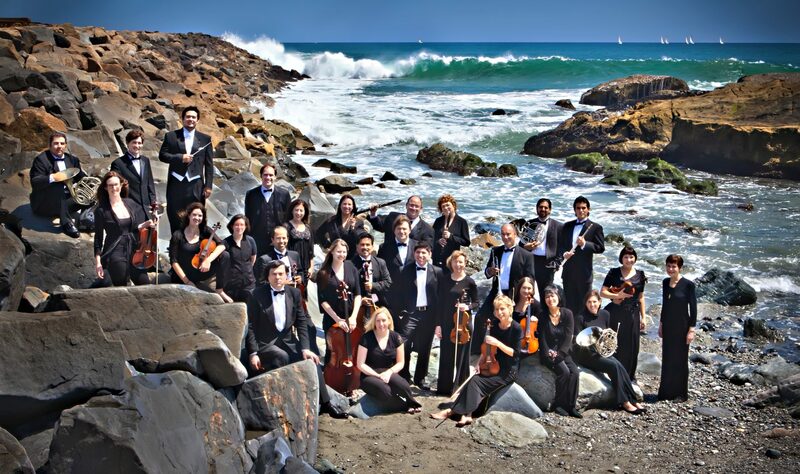 The Dana Point Symphony’s mission is to provide world-class symphonic music to Dana Point and surrounding communities and make it accessible to everyone. It also combines its riveting classical music performances with wonderful visual art exhibits at its post-concert reception, which will feature artists from the California Art Club, Orange County Chapter. Orchestral Sound – See the article in the Dana Point Times.